Your bedroom isn’t just a room. It’s a canvas. 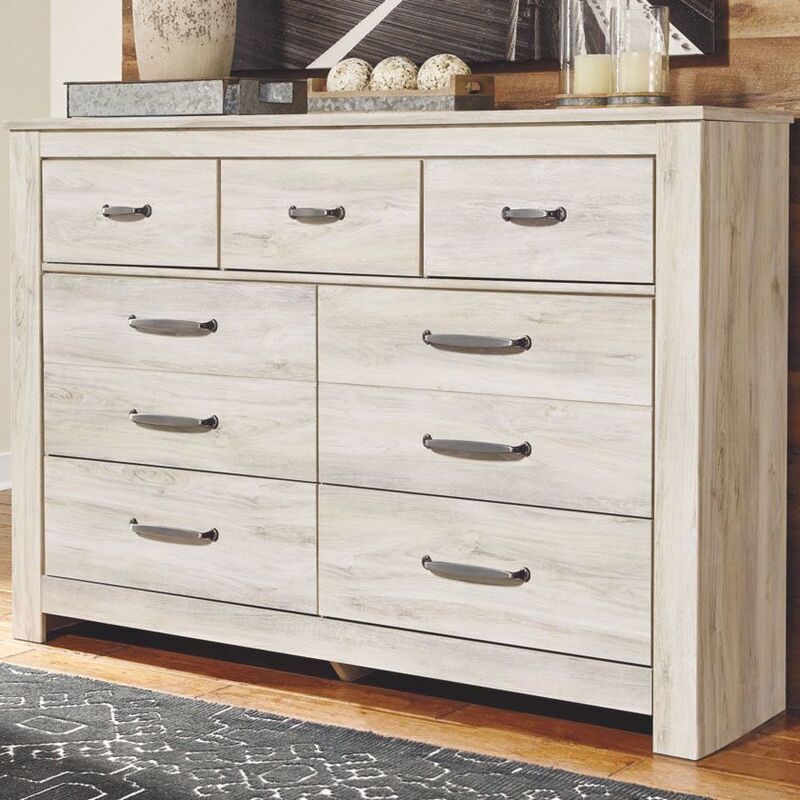 Express your farmhouse style with the Houston Dresser. 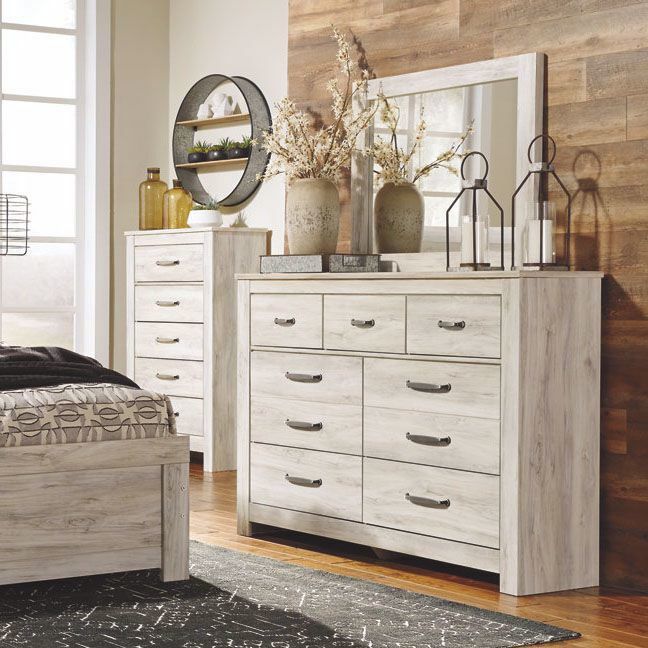 Wispy white finish over replicated oak wood grain brightens up the space with charm. Brushed nickel-tone handles with black edging finesse the piece with a bit of shine. 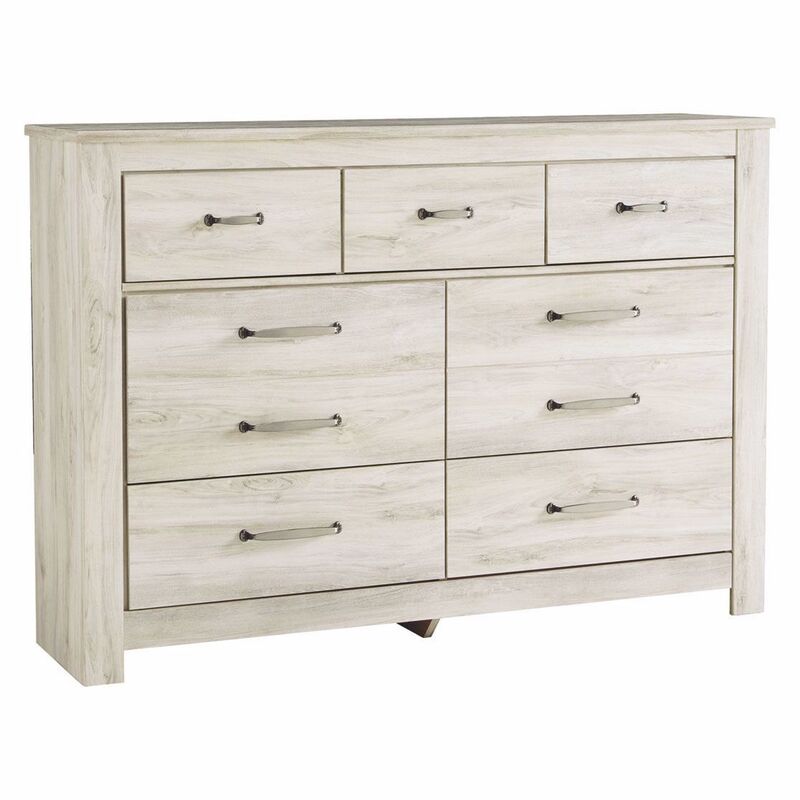 Drawers are spacious and lined with faux linen laminate to hold your belongings with care. This clean-lined profile is the perfect authentic foundation for inviting decor.